ALR, or Administrative License Revocation, is an administrative process in Texas used to suspend the driver’s license of a person who is arrested for DWI or DUI in Bryan, TX. A person arrested for DWI or DUI who fails or refuses a breath/blood test after being properly requested to do so by the arresting officer is subject to an ALR suspension. If you fail or refuse such a test, your license is not suspended immediately. Rather, the Bryan police will take your license and give you a temporary driving permit labeled “Notice of Suspension – Temporary Driving Permit.” If you don’t request a hearing to fight the license suspension within 15 days of the arrest – your license will be suspended automatically on the 41st day following your initial incarceration. If you request a hearing, your license will not be suspended until after you have fought for it before an ALR judge. 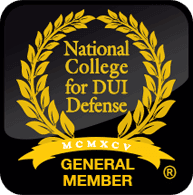 An experienced Bryan DWI Lawyer can often prevent the license suspension from ever occurring. Contact me, a criminal defense lawyer prepared immediately to begin the defense of your driver’s license suspension.